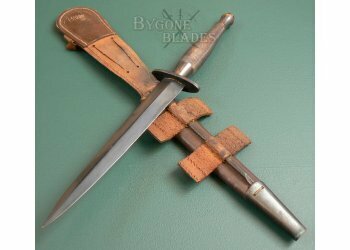 This second pattern, Wilkinson made Fairbairn Sykes fighting knife belonged to Squadron Sergeant-Major Roy Crook D.C.M. 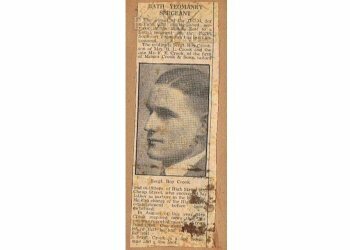 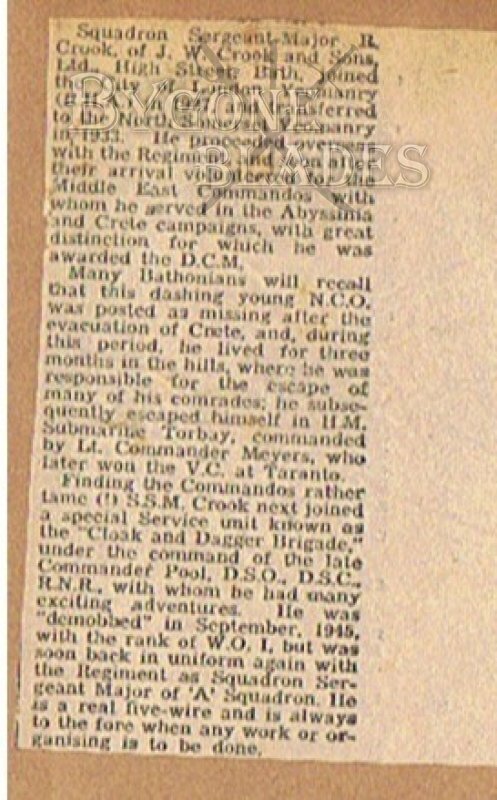 During World War II, Roy Crook, after distinguishing himself in action on the island of Crete, was recruited into the newly formed Special Operations Executive, (“Cloak and Dagger Brigade”) S.O.E. 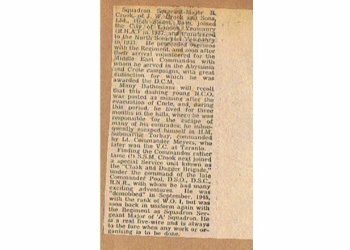 who were the forerunner to Britain’s post war special forces and intelligence services. 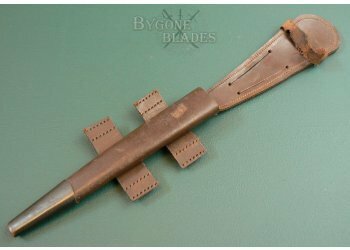 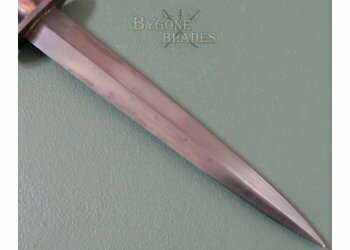 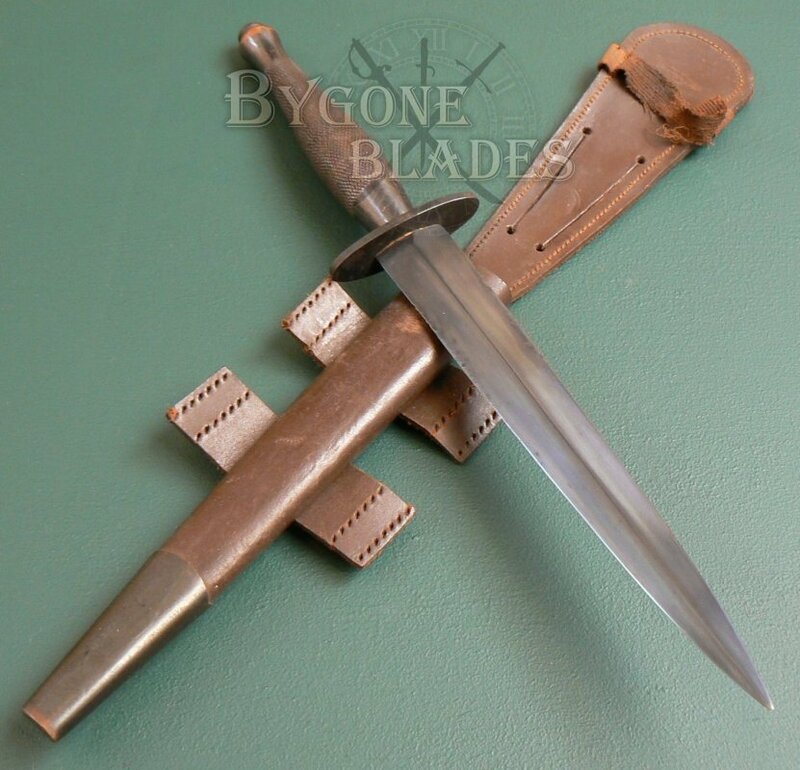 The 173mm double-edged blade is in good condition with marks consistent with its use during the war. 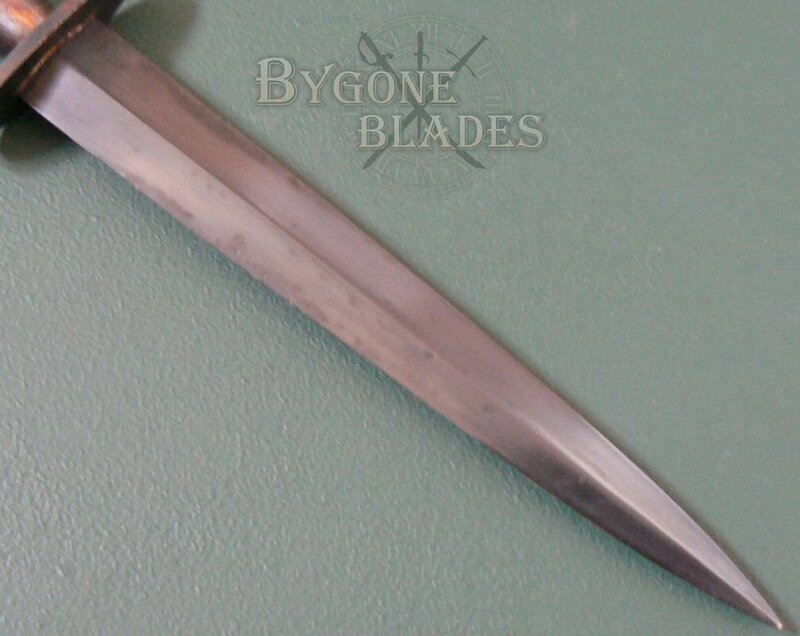 The blade is very sharp and retains most of its blued finish. 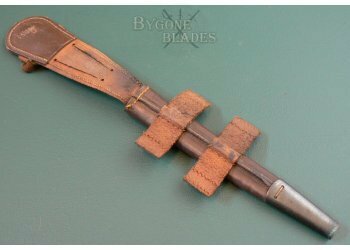 There are small patches of rust along the edges (shown in the photos). 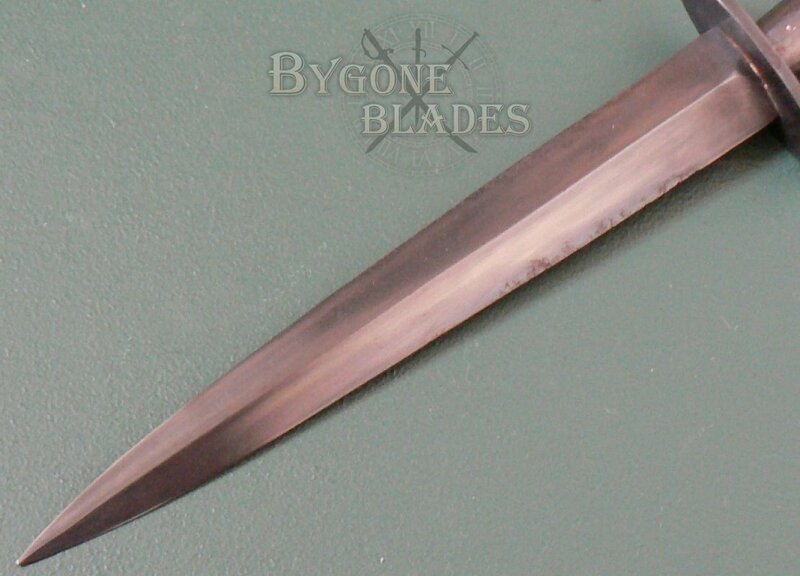 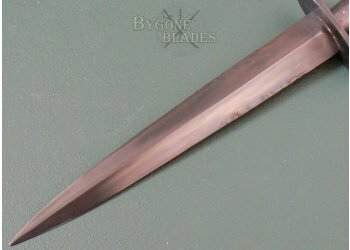 The blade is 23mm wide, tapering to a spear point with a raised medial ridge. 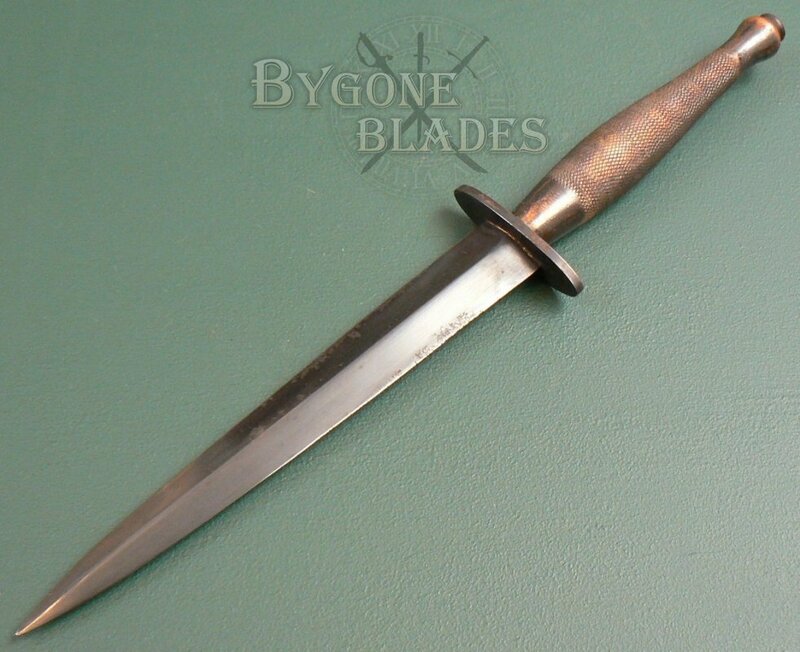 The knurled copper grip is in excellent condition with use related wear to the black finish. 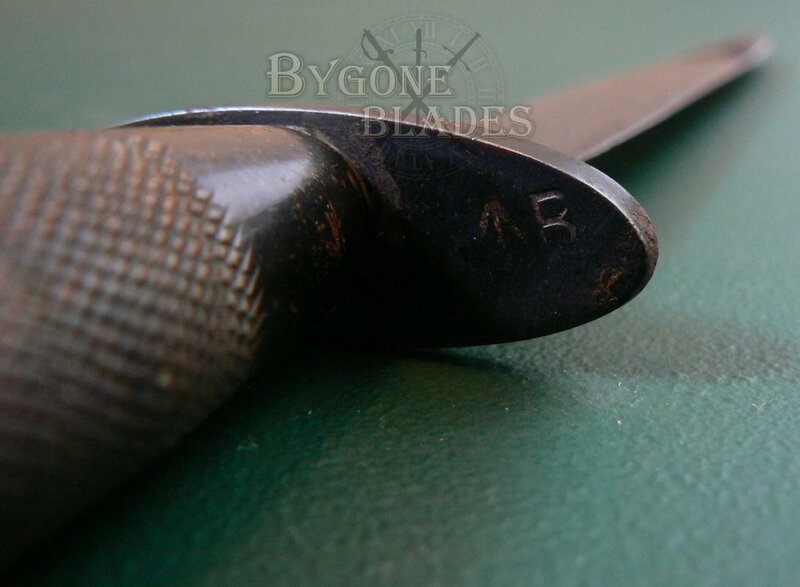 The grip is 21mm in diameter at its widest and is 126mm long. 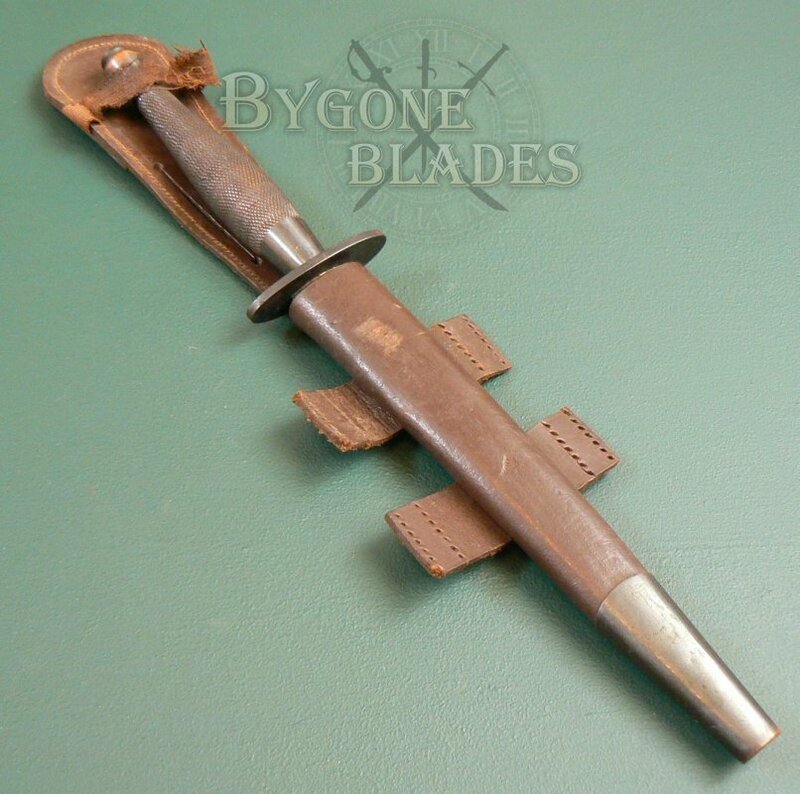 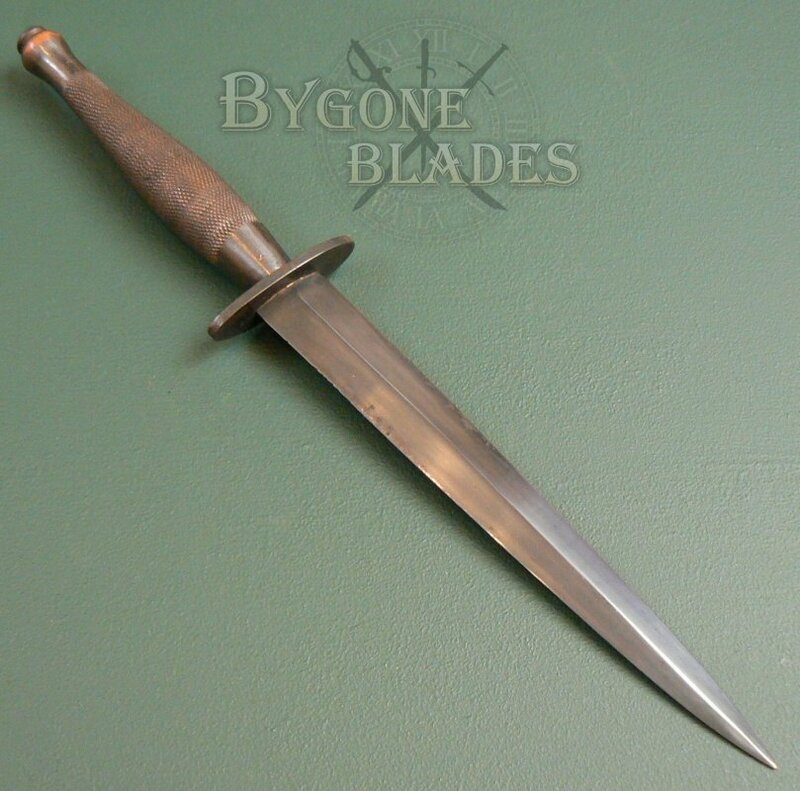 The crosspiece is 3.26mm thick and is stamped with the War Department arrow and the designation “B2,” indicating that it was made by the Wilkinson Sword Company. 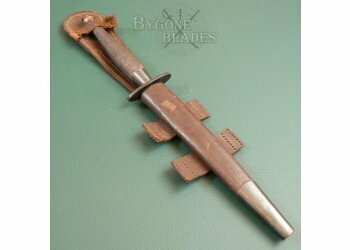 The knife is complete with its original sheath. The leather sheath is in good condition and retains its trouser tabs and the elastic retaining band. 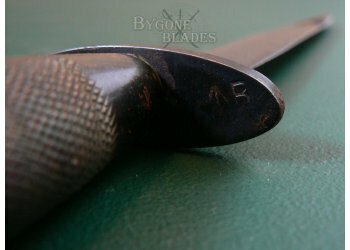 The elastic has perished and there is damage to the band consistent with its age and use. The leather and stitching of the sheath are sound. 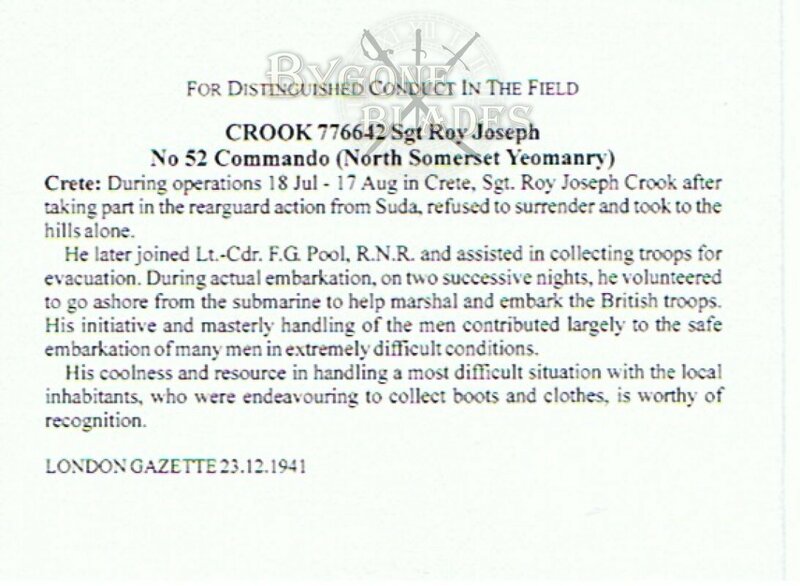 The name and serial number of Roy Crook are scratched into the reverse of the sheath. 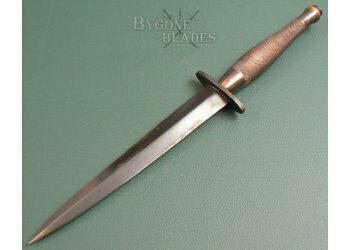 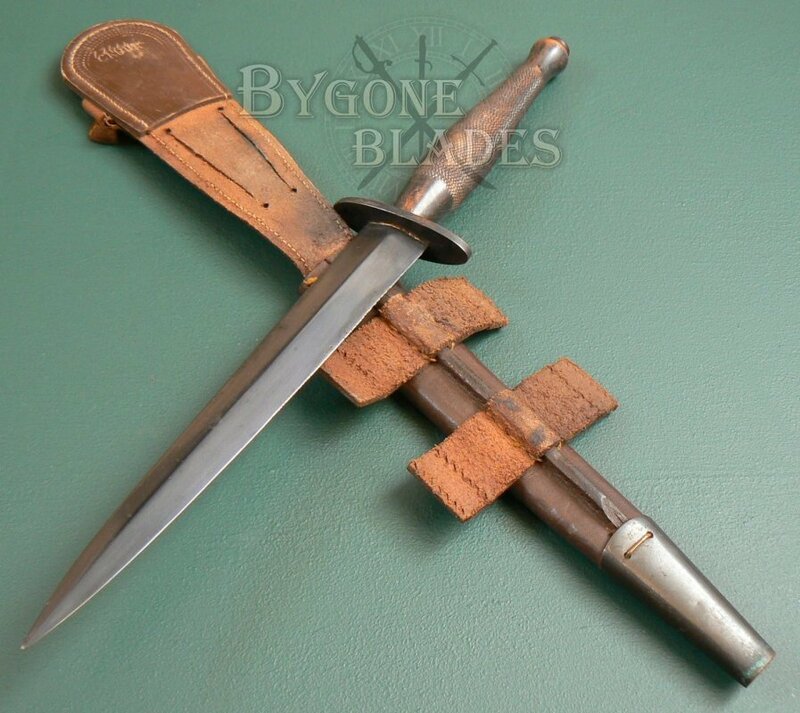 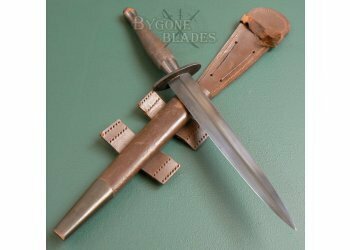 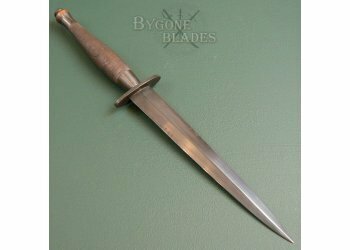 This is the knife of a true fighting man; an increasingly scarce World War II, second pattern Fairbairn Sykes fighting knife made by the Wilkinson Sword Co., with a fully researchable wartime provenance for a senior NCO in the Special Operations Executive. 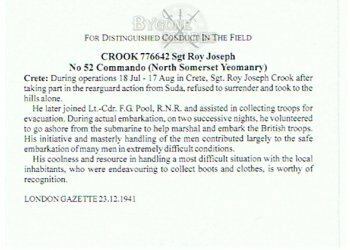 The knife comes with copies of Squadron Sergeant-Major Roy Crook’s D.C.M. 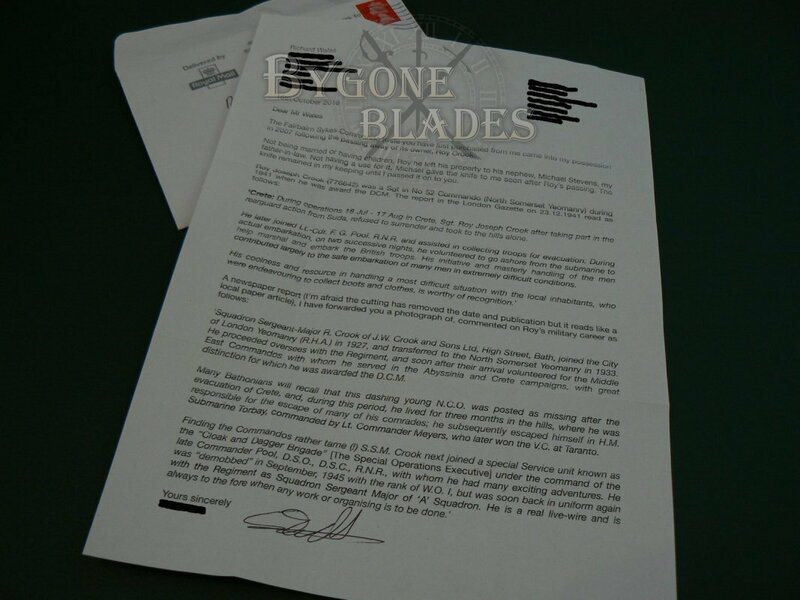 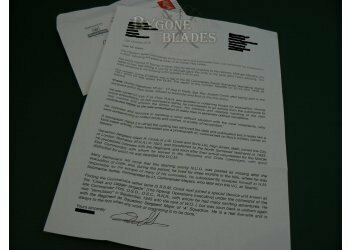 citation, newspaper articles and a letter from the family confirming his ownership and use of the knife.